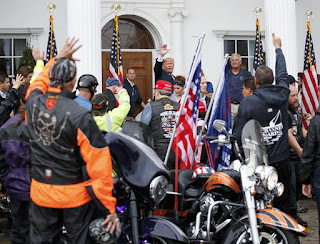 Trump lashed out at his Justice Department on Twitter before welcoming members of a 'Bikers for Trump' fan group. 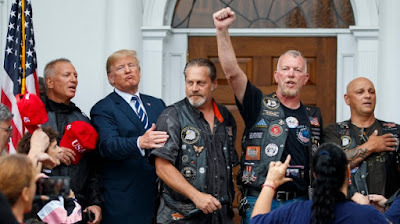 Trump signed autographs and posed for selfies as his guests booed reporters. 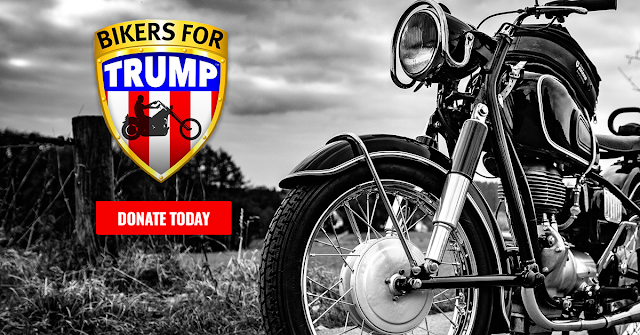 The bikers chanted "Four more years!" and "USA!" 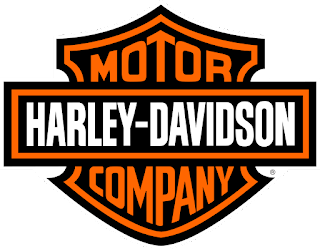 Trump said it's "great" that Americans may boycott Harley-Davidson if it moves motorcycle production overseas.